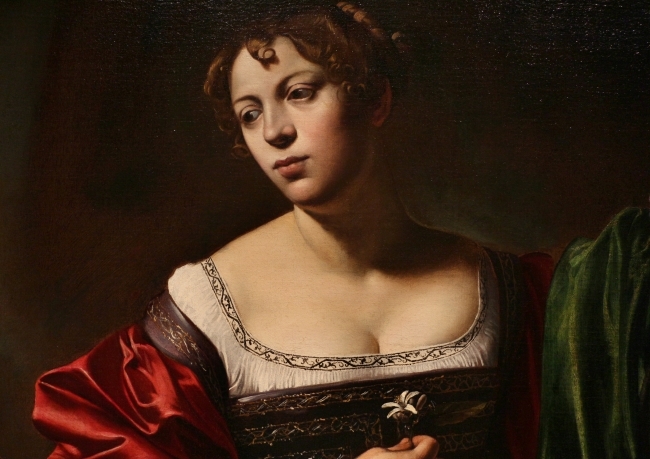 “Mary Magdalene” (detail), oil and tempera on canvas, by Michelangelo Merisi da Caravaggio, 1598. I wish death were a man in a black cloak. At least then I’d have some company. Who else would want a pistol? that tighten the Throgs Neck. Lauren Sartor is a poet whose work has been published in Black Fox Literary Magazine, Broad!, Calyx Journal, Literary Juice, The Bitchin’ Kitch, and others. Her work takes an earnest look at the conflicted, and often misrepresented, facets of ordinary livelihood. She is currently a Ph.D. student at SUNY Binghamton. I think these poems are quite appealing and well done.